Those of you that were in the Club several years ago should remember CROWN THE CAT. She was bought from the Club at the end of the season and was bred to Matt’s Broken Vow and produced TRAIN WRECK JACK. TRAIN WRECK JACK is in the 3rd race, a $30,000 maiden claimer going 5 1/2 furlongs over the main track. He’ll break from post 4 under Israel Hernandez and is trained by Joseph Bera. This is his first start. The plan was to get the win so even if CITRON KID was claimed we’d still pocket a few dollars. Dean Butler had him in a position to make a run late but there was no run in him and we were swallowed up and ultimately finished 5th behind several longshots. Not how we drew it up but it certainly appears as if the KID wasn’t the horse we thought he was when we claimed him so better to cut bait early than wait too long. KID was claimed by train Mike Chambers and will head to Phoenix with his string when the season is done. That leaves us with Illinois bred TENS WILD as we get ready to pack up stakes and move to Hawthorne. We will see what ends up getting written and how the boy is going and, if all lines up, see if we can get him one more trip around in front of the hometown crowd the last day of two of the meet. Given how many horses dropped in to our last race with CITRON KID, I’m a bit wary of moving into $20,000 company for a race. That’s all that is written right now and given that $20,000 would be a stretch anyway, I don’t want to draw in only to see we’re up against $35,000 and allowance horses dropping down to try and catch a win late. We will not be looking at replacing CITRON. With less than 4 months in the racing season, it will be difficult to find, get and run a horse with the necessity of getting that horse purchased or claimed shortly thereafter. There is too much risk there and we cannot own a horse after 12/31/15. So we will be running with one until he gets claimed from us. CITRON KID with Dean Butler aboard goes in the 3rd tomorrow night. It’s a $10,000 claiming race over the turf going a mile and 16th out of the chute. The weather is supposed to be dicey and the race may end up off the turf. Clay and I are going to discuss whether or not we run in that case this evening. He has had one dirt attempt and lost by over 20 lengths so I think it will be doubtful, but I’ll post as soon as we decide so you can keep track. Unfortunately, given that it is Mystic Lake Derby weekend, there are a LOT of groups coming to the Park this weekend and we can’t have our traditional section in Silks. But Group 3 (Group 3: Nierman – Zibley) will hit the paddock and, hopefully, the rest of you hit the winners’ circle! 1 Sound Effect (Diodoro/Franco) – Been running effectively at higher levels, drops a notch into this one from the same race CITRON comes out of. He finished 5th, us 4th. 2 Gentle As A Breeze (Berndt/Hernandez) – Another out of the last. Finished 7th after tiring. 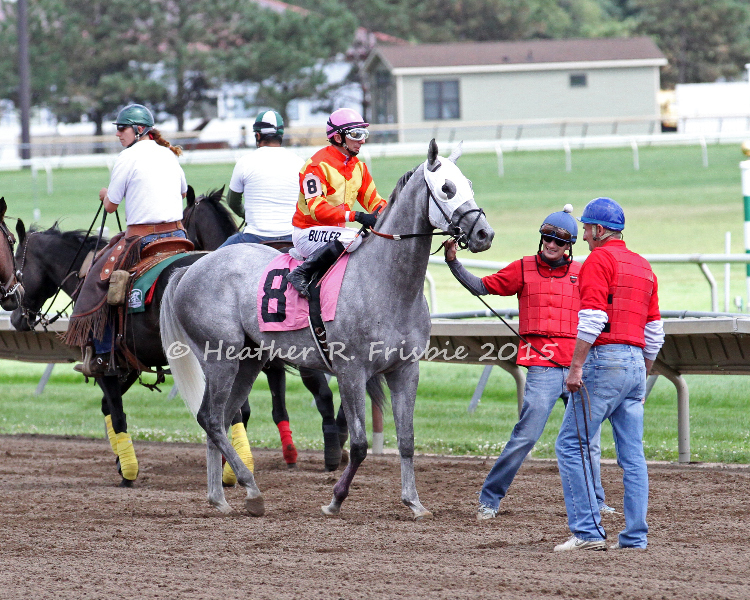 3 Peace Offering (Biehler/Velazquez) – Winner in a conditioned $20,000 two back, stepped up into allowance company in his last and had a rougher time of it. 4 Born Force (Donlin/Richard) – Bit of a rough trip last out going a mile 3/8. Been trying to win at this level here since the claim to no avail. 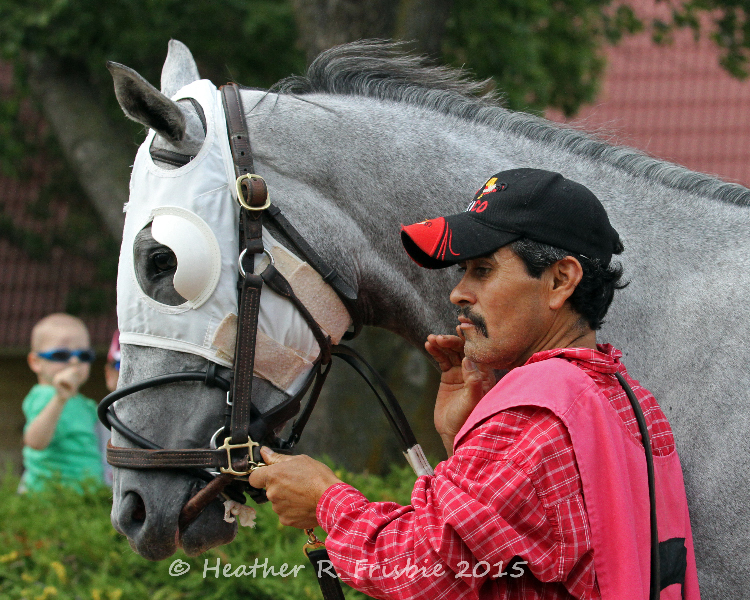 5 Ragged Edge (Rhone/Carreno) – Minnesotan is yet another dropping in from CITRON’s last race as well. He closed nicely but still finished a length behind the KID. 6 Another Gear (Biehler/Goncalves) – Climbing high for this one, last two were at $5,000 and $7500 respectively. 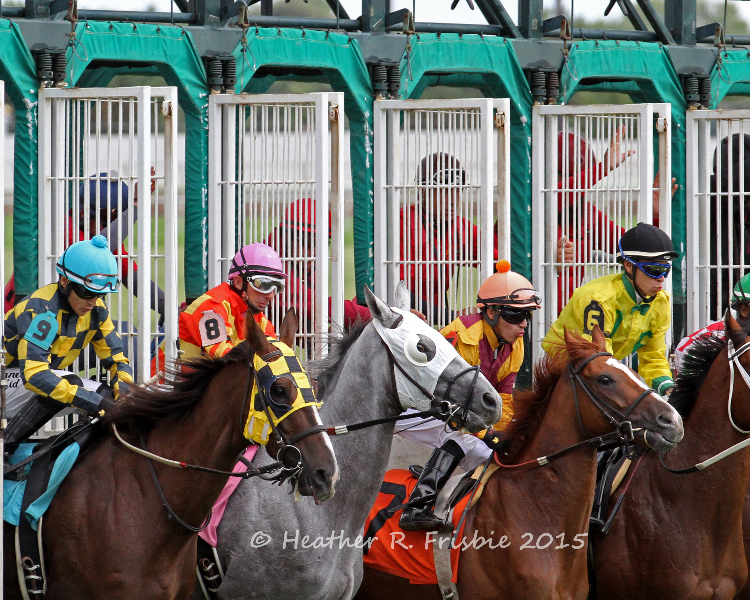 Moves up to $10,000 with a gaggle of $16,000 horses dropping in. Tough spot. 7 Limeshare (Riggs/Nolan) – Cutting back from a mile and 3/8 where he finished 2nd before being dropped after a DQ. 9 Pastero (Holder/P. Canchari) – Couldn’t come close at $7500 and now stepping up to a tougher than advertised $10,000. 10 Corporate Chapel (Bolinger/Sanchez) – Old warrior shifting barns and making first start for Bolinger. Improved dropping into $7500 company and now moves back to $10,000. 11 Costaud (Keen/Mello) – Cleared non-winner of 3 condition last out at $12,500. Speedster draws the outside and should provide most of the pace. 12 Runaway Cal (Rengstorf/Stevens) – Welcome back Scotty Stevens aboard this 6-year old gelding. Has had 3 shots at $7500 and hasn’t been able to get there. The thought that we could sneak down to $10,000 claiming and catch a lighter field was shattered when the entries were drawn. The field is tougher than it looks and drawing post position 8 out of the chute could be trouble. However, Gentle As A Breeze and Peace Offering on the inside should hopefully clear a path down to the main track and allow Dean to drop our boy behind them and sit 3rd or 4th heading past the stands for the first time. If we can save some ground and stay close, it looks like there is going to be quiet the cavalry charge to the finish that we can hopefully lead home, but it’s going to be tough and the pace is going to have to be weak enough to make sure we have enough gas but still enough to tire out the one or two that figure to be ahead of us early. Heather and I will not be able to make it as we had made other plans for this evening early in the meet but Jeff will be there – and you can be assured that we will be watching! CITRON KID takes the stage on Friday in a $10,000 claiming race over the turf. Right now the forecast calls for a 50% chance of showers and my guess is that if the turf course is imperiled at all by the weather the race will come off the turf given the Mystic Lake Derby on Saturday. As of this moment, Clay and I are unsure if he will run on the dirt or not. He has never run on an off main track and the only time he has run on the dirt (January, 2014) he lost by 20 in a $20,000 maiden claimer at Santa Anita. His Tomlinson number (a number derived from pedigree and historical family performance on an off track) is a very high 391 but we’ve all seen horses with high wet track (or turf) numbers not be able to run a lick on them even though they are “supposed” to. There are a few things to think about and the weather to watch. I’ll let you know as soon as a decision is made so you’ll know. TENS and Felix in the paddock before the race. Getting ready to load in the gate. The KID is in Friday night! We’ll be breaking again from post 8 with Dean Butler aboard. The race is the 3rd and it’ll be going mile and 16th over the turf. The level is $10,000, a step below where we claimed him, but we’re going after a softer group to try and get a win. A win and we build up his confidence a bit and we could move him back up again. A win and a claim and we’ve made money on him. TENS ran a very hard luck race earlier today. He broke a bit slow and Dean tried to get him to the rail but was ridden out into the middle of the track by the 3 through the first turn and we started down the backside in last place with too much to do. We closed enough to get to 4th ($880)but certainly not where we wanted to be. We’ll see how he comes back and maybe get one more in him before the end of the meet. If he’s not ready, we may try and fit in a race at Arlington because Hawthorne won’t open until October 2. The July financial statement is below. Once again we still do not have a vet bill, but that’ll be added once we get one. This includes no August numbers including today’s purse transaction for TENS, only what is in the books for July. Some class relief comes to most in the third but it’s an above-average $16,000 claimer on turf. From the looks of it the pace shouldn’t be too hotly contested and a lot will depend on a sprinter stretching out and a fleet dirt horse trying turf for the first time…..neither a type of horse that can be singled with much confidence. Tens Wild took further off the pace last time than he had previously and things worked out with a snappy-timed win going this distance. He’s had an assortment of different types of trips up here but the just off-the-pace style seems to suit best; this pace setup may play well into this hands and Butler seemed to get along with him great last time. Why Frank can show speed as well but seems attuned to the type of trip the top choice should be looking for as well. Thing is, this one usually finds himself on or close to the lead in midstretch and looks for company……the nineteen slices next to just four wins in his career make him hard to love on top. Vino Limbo Tango has some things to prove with the long drought since tasting victory, but at least he’s handled this trip in the past and could show enough speed to get the lead off his shorter recent endeavors. Franco is riding the turf very well at the moment and should this one get comfortable he may be a tiger to run down. The season is wrapping up here in Shakopee but TENS is just starting to heat up! He goes again in a $16,000 claiming race at 7 1/2 furlongs over the turf with Dean Butler aboard. The race is the third. He drew post eight and the race starts in the stretch as opposed to the chute, which I think is better for us, not having to negotiate two turns from the outside. The rail is out 30 feet so that does mean that the course will be a bit narrow and it makes it tougher for closers. We go into the race the 5/2 morning line favorite off of our last win and I think that is probably justified. I think our boy looks good in here and we also stand better than 50/50 chance of getting claimed. I say that because he is obviously in good form and showed he can handle a group like this. The other side of that, though, is that $20,000 may be too much for him and buying him at $16,000 could be the top – or at least very close. I guess we’ll know at the end of the race! We have a spot set aside for us inside of Silks and we’ll see you over there before the race. Here is a look at the field. 1 Hunterwood (Biehler/Velazquez) – We got this one by 3 lengths last out and we were both in a position to pounce on the frontrunners. We did and he did not. 2 Two Chance (Kirby/Delorme) – Minnesotan had a rough time in his last two but did beat an open first level allowance field at this distance 3 starts back at generous odds. He’ll want to come off the pace. 3 Affirmed Cure (Peters/Vergara) – Another Minnesotan, this one came up and just got CITRON KID near the wire and edged us for 3rd. His fourth rider in four starts with a mishmash of styles, it’s hard to predict which way he’ll run tomorrow. 4 Moon Gun (Ledgess/Carreno) – Came up to run in the John Bullit and found himself overmatched. He only has one turf start and didn’t hit the board. He was wildly successful at Lone Star, winning three of six and not missing the board. He’ll want to stalk the pace very similarly to us. 5 Why Frank (Oliver/Richard) – Hit the front a bit prematurely in the CITRON KID race, he did manage to hold on for a solid second. Another one who will need some pace to run at. 6 Vino Limbo Tango (Becker/Franco) – Has run at Canterbury but not over this turf course. He comes up from Chicago having had a hard time finding the winners’ circle. It doesn’t get any easier for him here. He may, by default, end up providing some of the pace. 7 Kipson (Scherbenske/Sanchez) – Minnesotan cleared his conditions last out taking a field of $20,000 non-winners of 3 claimers by a half length under a very well-timed ride. Stepping up against multiple winners is tough and he may be a cut below these right now. 9 Zeki (Arnett/Canchari) – Iowan has been toiling at Prairie Meadows and is trying the turf for the first time. This can be a recipe for success for some of these types. Had a magnificent 2014 that saw him earn well over $150,000, winning five races – two of them stakes. He has not had the same type of success this season at the higher levels and is dropping back into claiming company. Should be able to revert back to his speedy ways here and could be dangerous if he A – takes to the turf and B – is left alone on the lead. By the numbers we fit very well in here. TENS has been improving steadily since returning to the races and right now we don’t know where his peak is. It is going to be tough for us to get the stalking trip we want, especially from the outside. If we’re lucky, we’ll clear most of the inside and be able to tuck in behind the 9 and 6, sitting right where we want to be. If we find ourselves in a race developing like last out, we are going to be super dangerous. A serious lack of pace or Alex getting loose with Zeki early could end up causing us trouble.